​Readers may well have seen our news story on March 13th that set out English Heritage's plans for Hands on History at Stonehenge this Easter. Well, to get into the spirit of things, your editor, along with his family, felt it only fair to lend a hand or two, in an attempt to move a four-tonne stone. 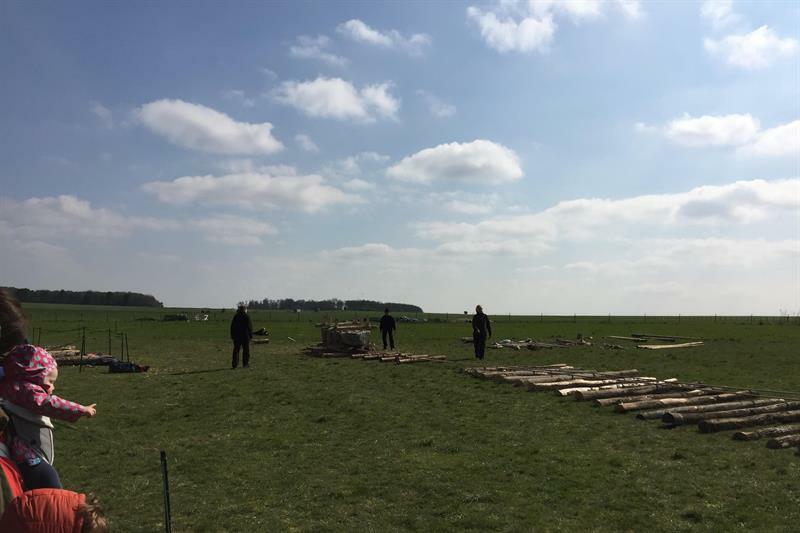 The fun event, which continues for the next five days or more, serves to add to our knowledge pool as experimental archaeology seeks to answer some of the enduring mysteries of Stonehenge - namely how our ancestors moved the stones into position. So, along with many other volunteers we took orders from our (modern) neolithic foreman and heaved and hauled our megalith using ropes, a sled and rollers of different specification, and we succeeded. Now, we didn't move the stone too far, but in terms of aiding our understanding of the efforts involved in moving some of the smaller megaliths on site, I think everyone will have even more admiration for the engineering abilities and determination of the groups of people who came together to raise this iconic monument. See our original story for more details of the events happening at Stonehenge over the Easter period.